저희 한국외국어대학교 인도연구소는 같은 대학 러시아연구소, 자와할랄네루대학교 국제학대학(School of International Studies, Jawaharlal Nehru University), 상트페테르스부르그 동서사회연구소 (Institute of Eastern and Western Societies, Saint-Petersburg State University)와 함께 국제학술대회를 개최합니다. 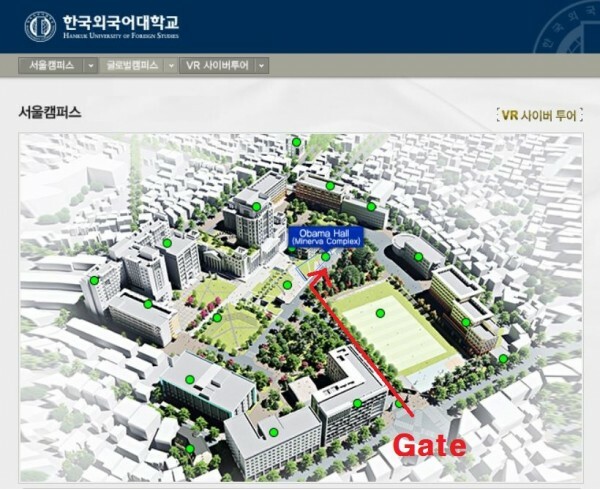 이번 학술대회의 대주제는 “Korea-India-Russia: Exploring A New Age of Cooperation through Mutual Understanding”으로서 급변하는 동북아 정세와 우리나라의 신남방 정책, 러시아 극동지방과 우리나라의 철도 연결 등 부상하는 새로운 이슈들을 폭넓게 논의할 수 있는 장이 되리라 기대합니다. 여러 선생님들의 관심과 참여 부탁드리며, 학회장에서 뵙기를 고대하겠습니다. 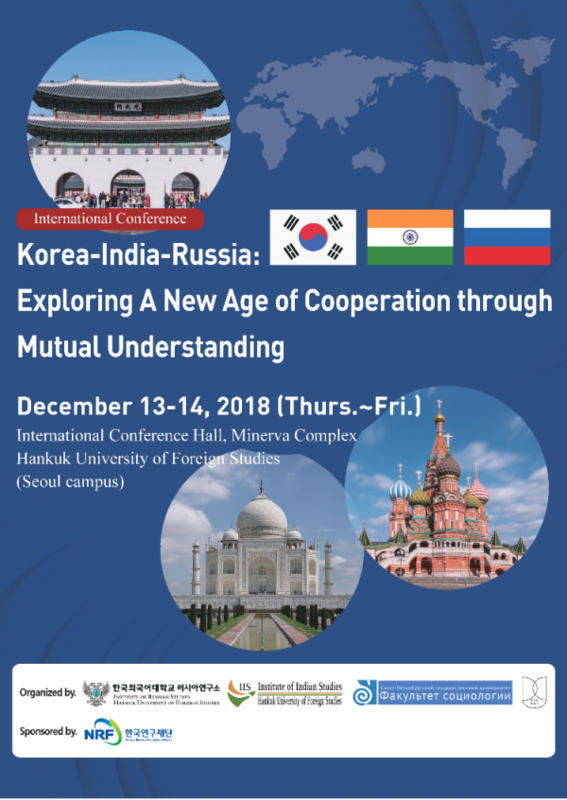 We proudly announce that the Institute of Indian Studies, Hankuk University of Foreign Studies (HUFS), have co-organized an international conference on “Korea-India-Russia: Exploring A New Age of Cooperation through Mutual Understanding”, along with the Institute of Russian Studies, HUFS, the Institute of Eastern and Western Societies, St. Petersburg State University, and the School of International Studies, Jawaharlal Nehru University. In addition, the connection between the Russian Far East and South Korea by railway has become more plausible as the relationship between South and North Koreas has improved to the best level since early this year. Meanwhile Russia and India, as BRICS members, are making a new leap forward from their traditional strategic partnership. This conference will provide an open field of discussion and debate on rapidly changing international milieu. The venue and time of conference as follows. I look forward to seeing many concerned scholars at the conference.